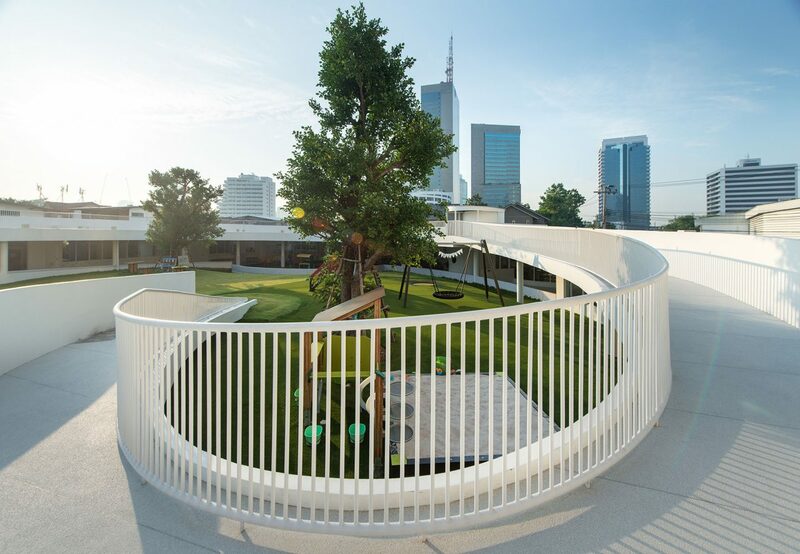 Play Based Architecture – architectkidd co. ltd.
March 28, 2018: Architectkidd’s design for the Apple Tree Kindergarten is a new school for children between the ages of 1.5 to 5 years. The school aims to foster a positive and stimulating environment that inspires and enables holistic development through play-based learning. Simplicity, Clarity and User-Friendliness were the key concepts of Architectkidd’s design. 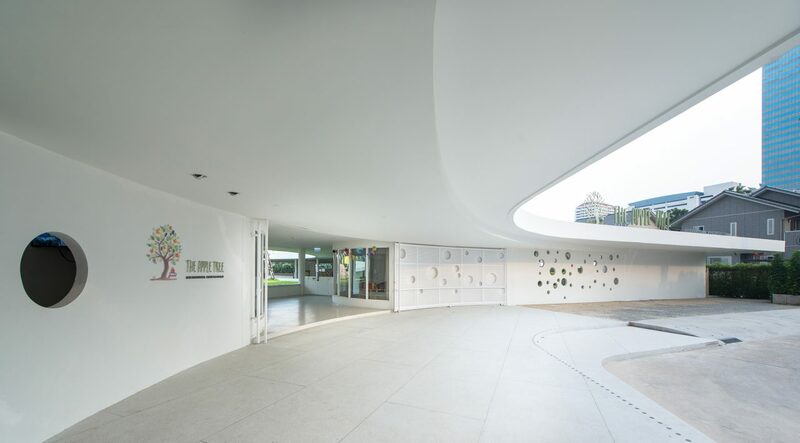 The building is curved, with the entrance welcoming its users with a large overhang roof. 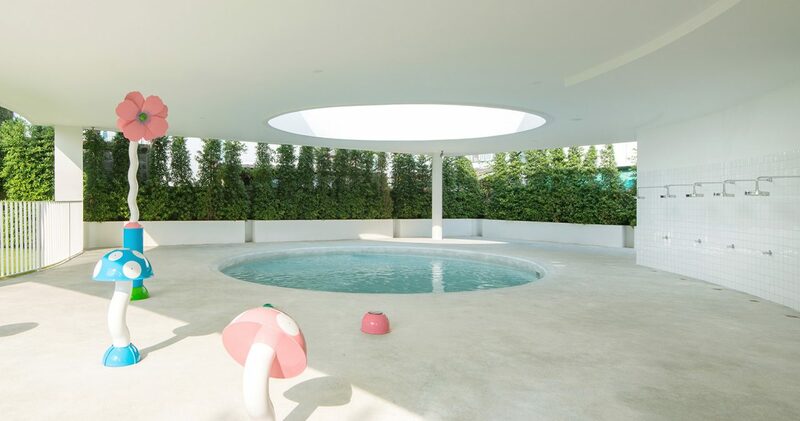 The building wraps around an open courtyard, with a large landscaped out-door playground, indoor playground and swimming pool. 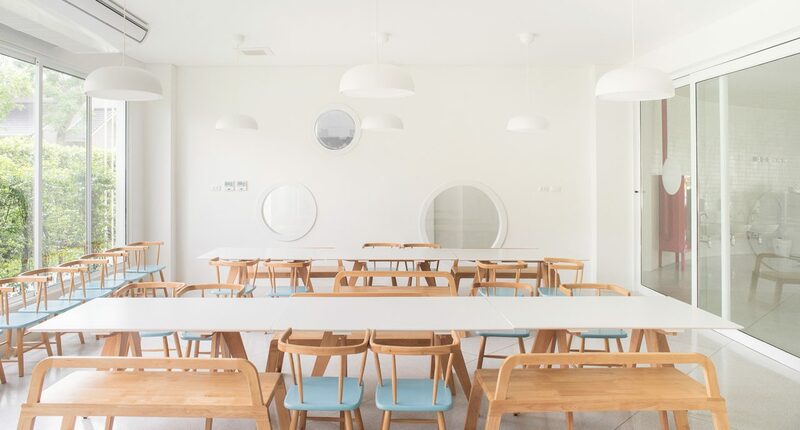 The classrooms of the Apple Tree Kindergarten are designed around the central playground area to ensure that every classroom has direct access to it. 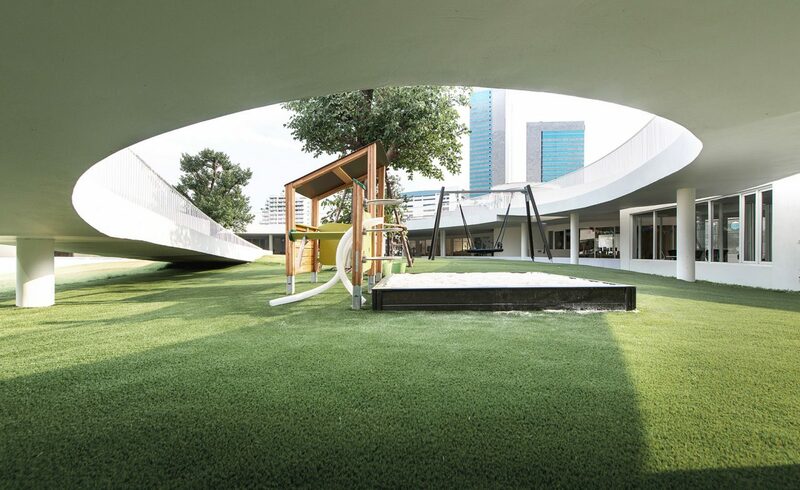 The layout relates to the school’s concept of a “green” curriculum where at least 50% of learning activities take place outdoors in a ‘real-world’ setting. Functions of the building include the library positioned next to the entrance of the administration offices. The learning areas and the administration offices have separate entry points ensuring security for the students as they learn. Materials and finishes are clean, elementary and robust. 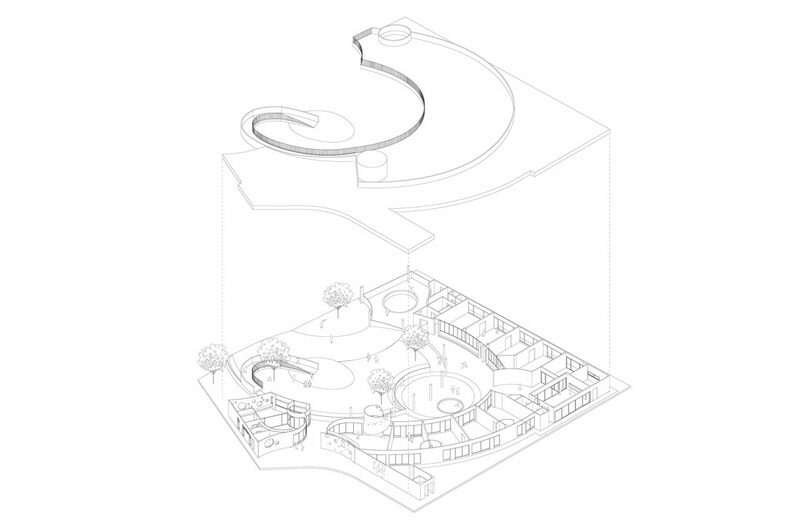 Learning spaces, the canteen and cooking classrooms are seamlessly connected into the curved layout. 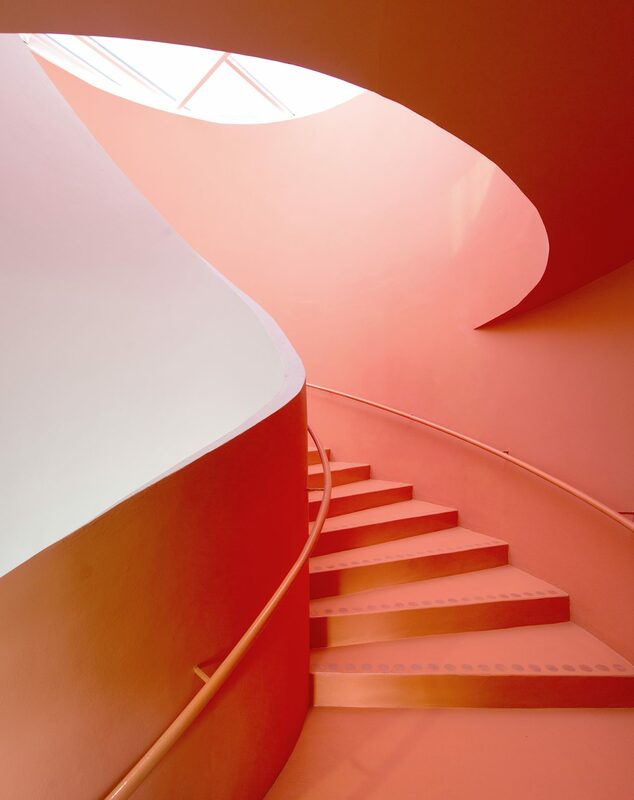 Architectkidd has been working to incorporate ‘play’ into various commercial spaces and designs. The design for this project has recently been featured in several publications such as Li-Zenn’s New Design Schools in Thailand. Please view the gallery of images of the Apple Tree Kindergarten below. Photograph credit are by respective photographers.